Promising Tversky has won his fourth-straight race at Doomben to book a trip to Melbourne. Vastly improved Tversky booked himself a place on the big stage on Melbourne Cup day with his fourth-straight win at Doomben. Sent out favourite, Tversky ($2.60) showed plenty of pace and then went away in the straight to beat Niccanova ($7) by 1-1/4 lengths with a half length to Cannyescent ($5) in the Rostron Carlyle Rojas Handicap. The gelding has gone from an average restricted-class horse to being the star Brisbane sprinter in the past two months. Trainer Jack Duncan now has his sights firmly on a trip to Melbourne with Tversky who took his overall record to eight wins from 18 starts. "We will give him a little ease and his next start will probably be a 6 f race at Flemington on Melbourne Cup day (November I think he is up to Melbourne spring class," Duncan said. "And we also have the Magic Millions carnival coming up in January. This horse was spooky early on but the older he ha got the better he had got." 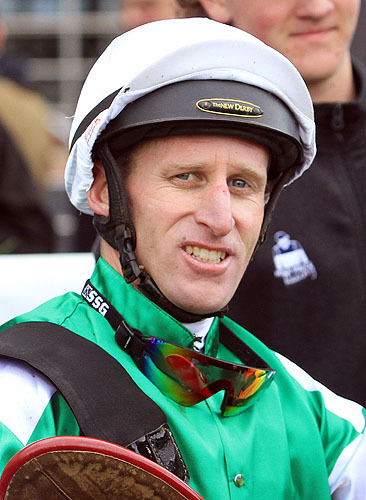 Dale Smith , a multiple stakes-winning jockey in Victoria, got a double on Tversky after earlier winning on Kubis. "I think he is up to Melbourne racing and he is promising," he said.